What are the great unsolved problems facing humankind today? Flying without damaging the environment? A cure for paralysis, or dementia? Ensuring the world’s growing population have enough food, and access to clean water? To mark 300 years since the British parliament passed the Longitude Act, Nesta and Innovate UK have launched the Longitude Prize 2014, a £10-million prize fund to be awarded to the discovery, invention or innovation that will meet the great challenge of our age. In the end, antibiotics, and the quest to prevent antimicrobial resistance to them, was announced back in June as having won a public vote to decide what that great challenge was. At the end of Ships, Clocks and Stars is an area where visitors can jot down their ideas, about how to solve any of the problems on the shortlist, on a card and pin them up on a wire. Personally, I liked the solar-powered planes idea. It’s a nice way to commemorate what was, in its day, the greatest unsolved puzzle in the western world. How to determine, accurately and reliably, one’s longitude at sea. The National Maritime Museum’s latest exhibition seems to suggest that the quest to find an invention or discovery that could allow mariners to work out their east-west location, at least in a more precise manner than was previously possible, represented as great a challenge as preventing antibiotic resistance in the 21st century. It certainly was to a great maritime power like Britain, who set up the Board of Longitude and Longitude Prize in 1714. And other European nations, whose economy was so heavily dependent on maritime trade at this point, were also keen to be able to avoid their ships getting lost and running into trouble, enable their cartographers to produce better maps, and allow their explorers to venture off and discover yet more ‘new’ lands. But I was left wondering as to exactly why the quest for a better means of calculating a ship’s longitude was quite as urgent as the exhibition suggests that is was, given that nations like Britain were already growing rich from maritime trade, and were well on the way to establishing a transcontinental empire long before parliament first put up the £20,000 prize money. Granted, the old-hat method of determining longitude called ‘dead reckoning’, which used the ship’s average speed and direction of travel to work out distance travelled (and thus distance east or west from where it started) was crude and inaccurate. But it had nonetheless enabled Britain and many of its European rivals to travel to all corners of the globe, colonise distant lands and establish highly lucrative trade routes by this time. Perhaps more of an effort could have been made to stress exactly how an accurate and reliable method of determining longitude could have given Britain a tangible advantage over its maritime rivals. Or, to what extent maritime exploration and trade changed after the 1760s, once ships’ longitude could be determined accurately and reliably. Having said that, the exhibition does serve up a good dose of historical context by showing how the longitude problem was something that was widely and enthusiastically discussed among the chattering classes of the day. From the boisterous coffee houses of Georgian London to the meetings of the Royal Society, and from wide-eyed optimists to mocking skeptics. Significantly, the winner of the prize offered by the Board of Longitude could be of any social rank of profession. The multitude of books and pamphlets that were published on the subject, many on display in the exhibition, is an indication of how the riches that was on offer served to ignite the public imagination (£20,000 equates to about £2.5 million in today’s money). 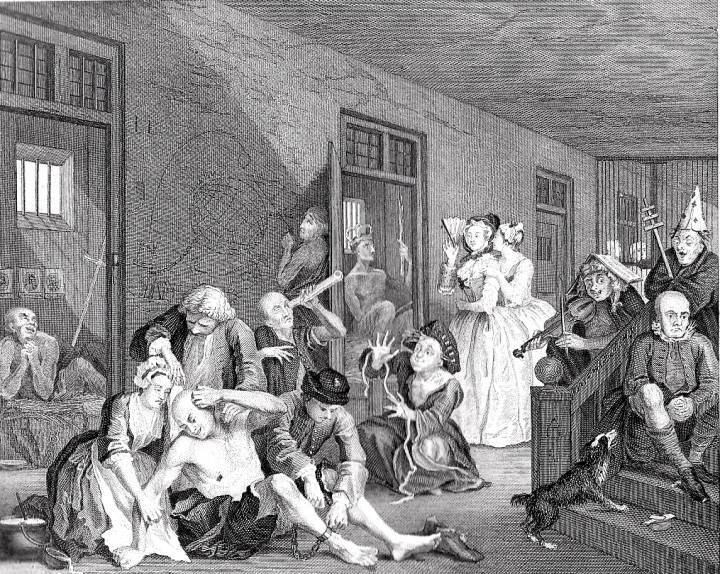 The longitude problem even makes an appearance in the eighth plate of the Rake’s Progress by William Hogarth, an artist whose work has been following me around in recent exhibition visits! The fact that a time difference of one hour between a ship and a fixed location meant it was located fifteen degrees east or west of that city was already well understood (360 degrees divided into twenty-four hours, see?). And the position of the sun was all a seaman needed to work out the time of day on board ship. And so, in theory, working out how far east or west your ship was was actually a very simple process, since all that you needed to know was the time of day on your ship, and -simultaneously – the time of day at the fixed location. And so it was that the solution to this simple problem was something as simple as keeping accurate time, by means of something as humble as a pocket watch. But making a watch, or indeed any clock, that could reliably and accurately keep time when faced with the combined challenges of changing temperature, changing humidity and the constant rolling motion of a ship on the ocean, proved an immense challenge in itself. 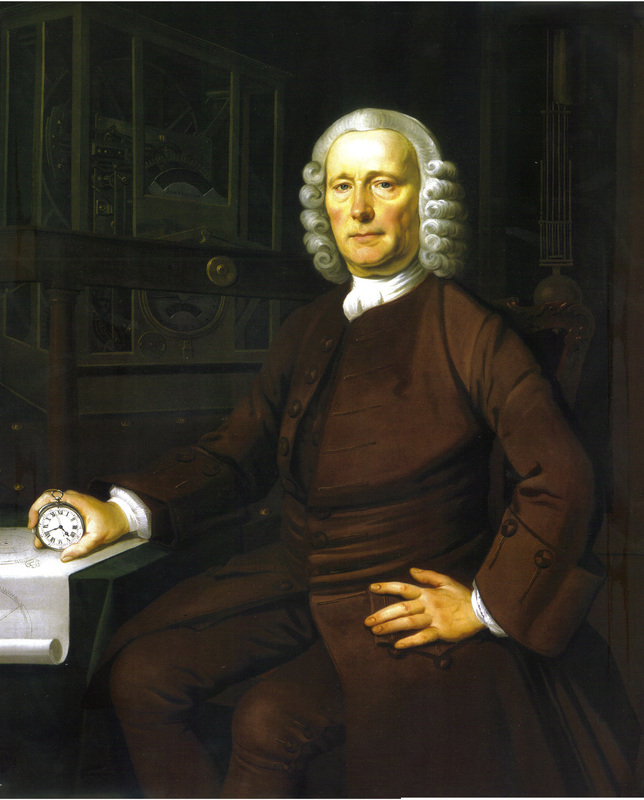 It was not until half a century after the Longitude Act that any clockmaker was able to construct a device that could successfully keep time on a long sea voyage, and that man was John Harrison. On a five-thousand-mile, 81-day test voyage in 1761, Harrison’s clock, the H4, lost only three and a half minutes, and was used to calculate a longitude for Kingston, Jamaica to within just one nautical mile of the city’s known location. Harrison’s clocks – or chronometers, as they became known – are a marvellous sight. The fact that his first three efforts are large, cabinet-sized machines, while H4 is pocket-sized, serves as a perfect demonstration of what amazingly intricate mechanics Harrison managed to squeeze into something so portable, just thirteen centimetres in diameter. As does the reconstruction of H3 with its outer layers cast in transparent perspex, that allow you to peer right inside the magical machine as it ticks away. And, also, the video alongside the display which shows H4 being disassembled, and explaining the role played by each tiny individual component. I was genuinely awe-struck. But perhaps the most remarkable thing of all about the quest for longitude in the 18th century is that John Harrison never won the Longitude Prize. In fact, no one did. This, despite the fact that Harrison was given several grants by the Board of Longitude over the years to fund his work, along with numerous other individuals working on alternative solutions the puzzle. John Harrison’s first attempt at a chronometer, H1, built between 1728 and 1735. It was this clock that first caught the attention of the Board of Longitude (wharf2go.co.uk) Click for more of Harrison’s clocks! While Harrison was busy toiling away in his workshop, at least four other completely different methods of determining longitude were being seriously and vehemently pursued by some of the greatest scientific minds of the day. The exhibition does a great job of both introducing the key five that emerged and referring back to them, with handy coloured logos for each one popping up as we travel through (Timekeeping, Jupiter’s Moons, Lunar distances, Signalling, and Magnetism – there, I’ve remembered them without having to refer back to my notes!). It was the enthusiasm of the numerous astronomers that sat on the Board of Longitude for the method of lunar distances, which compared the moon’s position as observed at sea with its known position observed at a fixed location, that rained on John Harrison’s parade. After attributing H4‘s impressive performance during the Jamaica voyage to luck, the Board insisted it be tested once more, on a voyage to Barbados, where it would be tested alongside the lunar distance method. And despite it yielding a more accurate result for the longitude of Bridgetown, Barbados than that given by the lunar distance method, once again the Board refused to award Harrison the Longitude Prize. The very man who had worked on the lunar distance method for many years, and had tested it during the voyage to Barbados – the Reverend Nevil Maskelyne – was appointed Astronomer Royal upon his return and became the most influential member of the Board of Longitude in the process. At the very next meeting of the board, in 1765, he and his fellow astronomers stressed that since the Longitude Act specified that the solution had to be a practical one, the considerable time and money required to make H4 meant that Harrison’s chronometer had not met its requirements. As utterly outrageous as this board of university-taught, high-society astronomers’ treatment of a self-educated Yorkshire clockmaker was, they did have a point: it was not until the nineteenth century that the successors of Harrison’s H4 were being made in the sort of quantity and at the kind of price that saw them on board every ship on the high seas. The Nautical Almanac, meanwhile – a book of tables charting the moon’s position every three hours as observed at Greenwich observatory, and updated every year from 1767 – became an integral part of seafaring in the years in-between. In the process, Greenwich became established as the world’s fixed point of reference for longitude. Harrison was eventually given £8,750 by the British government, but only after he had personally lobbied King George III who, luckily, had a passion for scientific instruments (and offered to test one of Harrison’s later chronometers, H5, himself). By the time the King had forced through a new act of parliament to grant him his reward, in 1773, Harrison was in his eighties. Meanwhile, the Board of Longitude was quietly abolished in 1828. Besides Harrison’s clocks and a feast of other navigational instruments, the exhibition showcases some marvellous paintings of the period, most of them nice and large and incredibly dramatic, such as Willem van de Velde’s shipwreck scene and Thomas Hodge’s dreamlike depiction of the island paradise of Tahiti. There are also several images of Greenwich observatory, a location which had a central role to play in the Longitude story (entry to which is free with the purchase of an exhibition ticket, and is well worth the walk up the hill if you have not visited already!). The surprise object of the exhibition had to be Nevil Maskelyne’s observing suit, which he would wear on cold nights when peering through the telescope at the observatory, and constitutes the closest thing I have ever seen to an 18th-century shell suit. Towards the end of the exhibition is a touch-screen display showing a selection of other ideas for determining longitude that were submitted, and subsequently dismissed as unworkable by the Board of Longitude. Some really did make me laugh. How about a platform, floating in the middle of the sea attached to a bouy, where an astronomer could point a telescope towards Jupiter and observe the position of its moons? Or perhaps a pocket watch kept in a temperature-controlled cupboard? I loved the fact that the board opened up the competition to absolutely everyone, enabling people of all classes and occupations to give it a go. It conjures up a wonderful, very British image of a crackpot inventor in a shed, convincing himself that another decade’s worth of beavering away and he will solve the greatest problem of the age. It’s little wonder that the longitude problem was so frequently lampooned by the satirists of the day, such was the level of interest in the subject and the deluge of ideas and ‘what-ifs’ that must have been put forward. I suspect that longitude was something that every single one of your friends down at the coffee-house had an opinion on. It is this feverish spirit of inventiveness, of possibility, and of the unwavering belief that human reason can solve absolutely any problem, that keeps me coming back to the 18th century again and again! 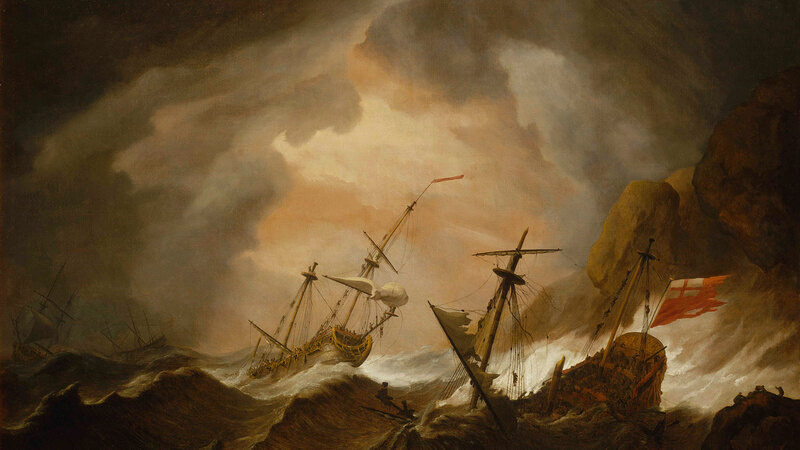 Ships, Clocks And Stars runs at the National Maritime Museum until 4th January 2015. Tickets cost 8.50 for adults and £4 for children (£7.50 for concessions), and include entry into the Royal Observatory and its own related exhibition, Longitude Punk’d. Clocking Off Late, an evening event inspired by the quest for longitude and Georgian London taking place on 13th November looks rather fun too. Tags: 18th century, 19th Century, antibiotics, astronomer, Barbados, Bedlam, Board of Longitude, Bridgetown, Britain, British Empire, chronometer, clocks, coffee house, empire, exhibition reviews london, exhibitions london, George III, Georgian, Greenwich, Greenwich Observatory, H4, Jamaica, John Harrison, Jupiter's moons, king, Kingston, longitude, Longitude Act, longitude exhibition, longitude exhibition review, Longitude Prize, Longitude Prize 2014, lunar distance, Moon, national maritime museum, Nevil Maskelyne, painting, parliament, science, ship, Ships Clocks and Stars review, star, Sun, trade, voyage, William Hogarth. Bookmark the permalink. This is an excellent evaluation of the exhibition. It’s extremely detailed and really interesting, My husband has also read it, as he has a real interest in all things maritime! I can see why you’ve been featured on Freshly Pressed. Fascinating post. Harrison is the subject of an interesting book by Dava Sobel called appropriately “Longitude”. He was apparently quite an irascible old codger. But seeing how he got the run around by the Board of Longitude for so long, I can’t say I blame him.